About Spain:- Spain officially the Kingdom of Spain is a sovereign state located in southwestern Europe, with a small section of its territory located on the African continent. Its mainland is bordered to the south and east by the Mediterranean Sea except for a small land boundary with Gibraltar; to the north and northeast by France, Andorra, and the Bay of Biscay; and to the west and northwest by Portugal and the Atlantic Ocean. Along with France and Morocco, it is one of the only three countries to have both Atlantic and Mediterranean coastlines. Spain is a democracy organized in the form of a parliamentary government under a constitutional monarchy. It is a developed nation with the world's fourteenth largest economy. It is a member of many International organizations such as the United Nations (UN), the European Union (EU) etc. Spain has a capitalist economy which is the 16th largest worldwide and the 5th largest in the European Union. Spain is the third country in the world with the most World Heritage Sites. It has been home to many renowned names and faces in the world of Literature, Arts, Architecture, Philosophy, Sports and Science. About the Institution:- UCAM is a private university founded in 1996 with a clear mission, to train students with knowledge and skills to serve society and contribute to the further expansion of human knowledge through research as an integral part for the development of mankind. The University offers a comprehensive education with a faculty and staff that allows students to make the best of themselves. Students of UCAM are known for their dynamism, capacity for teamwork and leadership. Ø UCAM was among the first universities to adapt its programs to the European Quality System for Education. Ø UCAM has around 200 renowned international strategic partners among which are several leading colleges and universities around the world, such as UC Berkeley, Stanford, NTU, NUS etc. 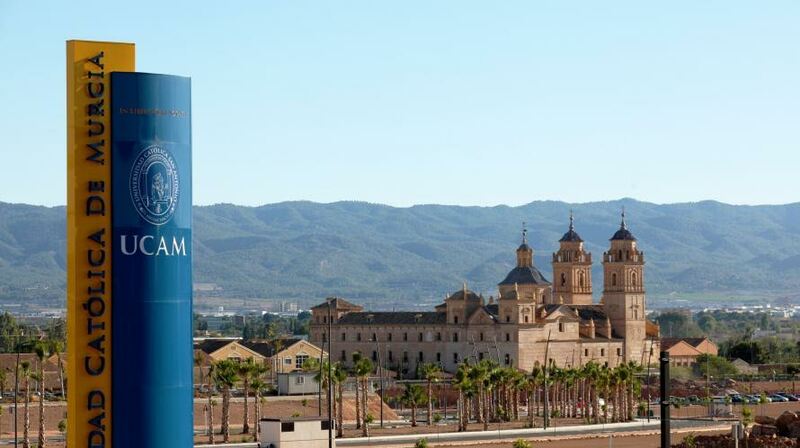 With these partners UCAM has established students, staff and professors exchange programs, joint degrees and other kinds of academic collaborations. Ø UCAM’s teaching method is based on personalized attention with a reduced number of students per class and a personal tutor assigned to each student. Ø UCAM is strongly linked to the business world through study plans responsive to market exigencies, obligatory internships in public and private institutions and enterprises as part of every undergraduate and master's degree, as well as research programs in collaboration with large regional, national and multinational companies. Ø UCAM has a special environment both culturally and historically. Its main campus is located around the XVIII century Jerónimos Monastery (National Monument) where infrastructure, Labs and Research rooms provide UCAM’s students with excellent facilities to combine theoretical knowledge with practical implementation. Ø UCAM’s aim is to offer an integral formation to its students, not only in terms of academic knowledge but also regarding human values by means of academic subjects, volunteering projects, meetings, congresses and workshops. Ø UCAM is also known as the University of Sports. It is the only European university with a professional basketball team in the first national league (ACB League Spain). Ø Quality education in safe and modern environment. Ø International students are allowed to work part time. Ø 6 months of post study VISA. Ø Low percentage profiles accepted. Ø An attractive lifestyle and mild climate. Programs offered:- The University offers a range of Program at Bachelors and Masters levels. Call : 9227656606/10/16 for more details on specific courses in various countries.